Albany Center Gallery is a non-profit art space dedicated to exhibiting skillful contemporary art of the Mohawk Hudson region, and building a strong, knowledgeable audience for the visual arts. We are a community-based and community supported organization. For 30 years, Albany Center Gallery has provided a platform for the work of contemporary visual artists to engage the public. Albany Center Gallery strives to encourage dialogue and critical commentary about the visual arts within the region. Albany Center Gallery is dedicated to the exhibition of regional artists within a 100-mile radius of Albany. Since Leslie Urbach opened the gallery's doors in 1977, 1,000 of the area's finest contemporary artists have exhibited at Albany Center Gallery using the following disciplines: painting, drawing, sculpture, photography, printing, fiber arts, video, mixed media, installation, and most recently artist books. Albany Center Gallery's exhibition program serves the art community and the general public. Receptions, artist interviews, art in public places, panel discussions, and an education program are part of the gallery's activity. 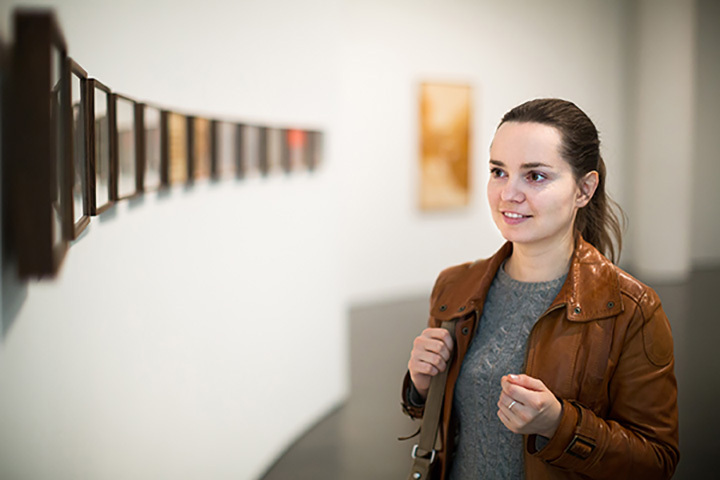 The gallery presents at least seven major exhibitions a year in the main gallery, including the Mohawk Hudson Regional Invitational, and participates with performing arts organizations to present an Art in Education program. Many of the artists who exhibit at Albany Center Gallery gain national and international recognition. All of Albany Center Gallery's exhibitions, receptions, and artist interviews are free and open to the public. The exhibitions are chosen based on topics that address a broad and diverse audience. The gallery space is fully handicapped accessible.